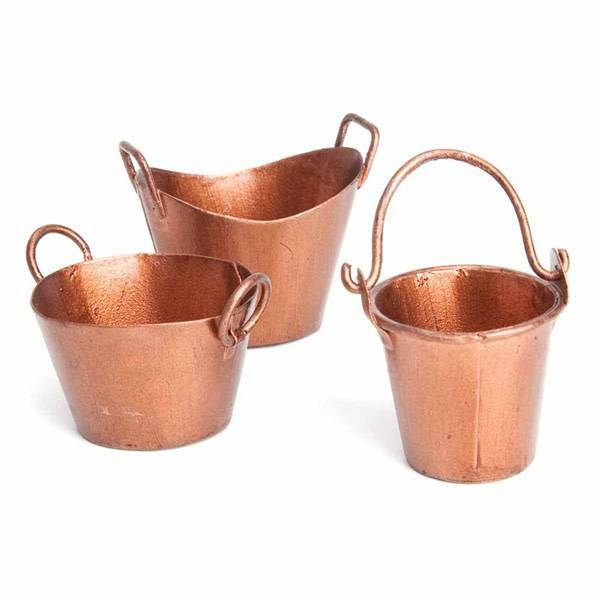 This Set of copper plated metal buckets come as a set of three and are around 3cm high, great for fairies to carry all sorts of things inside or around their fairy garden. This Set of copper plated metal buckets come as a set of three and are around 3cm high, great for fairies to carry all sorts of things inside or around their fairy garden. These buckets can also be used for fairies to plant their plants in.